One of the most striking differences between North and South Korea on satellite imagery is the observable difference in forest coverage. By the end of the Korean War, the entire peninsula had experienced severe deforestation. To repair the damage to the environment, South Korea launched a massive re-forestation campaign in the 1960s and 1970s (check out this South Korean propaganda video that looks like it was made in North Korea). In the DPRK, “Tree Planting Day” was reportedly established on March 2, 1946 (KCNA made a note of it a couple of weeks ago, as it does every year). But although lip service has always been paid to reforestation, implementation seems to have always taken a back seat to other priorities (both official and unofficial) such as food self-sufficiency, mitigating famine, mitigating a shortage of heating fuel, and the need for hard currency (exported timber). Provincial tree nurseries are being updated into bases for the mass production of saplings of good species. The nursery in Pyongyang built a room for disseminating science and technology and the production process of the paper humus-pot equipped with modern facilities. The nursery of South Phyongan Province newly made tall sapling production base covering at least 100 hectares and built the humus-pot production base. It is cultivating more than 800,000 saplings of dozens of species. The nursery of North Phyongan Province completed nine construction projects including the 100-odd square meter grinding and mixing ground. Jagang Province is pushing ahead with the construction of the nursery of the province with a humus-pot factory of hundreds of square meters, greenhouse, hostel and other public service facilities at the final stage. The advanced sapling production technology has been introduced to cities and counties across the country. Hundreds of millions of trees were planted in mountains of the country during the period of national mobilization for improving land administration in spring this year. I have identified nearly 400 new tree farms and forest management stations that have been built in the DPRK since Kim Jong-un took over as leader. These facilities have been regularly featured in the official media. The effort appears to be driven by the Forestry Bureau (산림총국) under the Ministry of Land and Environmental Protection (국토환경보호성), however, the military is playing a significant role as well. The largest tree farms of which I am aware are the Central Tree Nursery (pictured above), Kangwon Provincial Tree Farm, and the Tree Nursery 122 of the KPA. Some analysis and implications: These reforestation projects are probably not the only ones in the area, they just met the minimum standard of proof to show there was an active reforestation project going on in Singye. There are no doubt many more like this throughout the country, though I have not looked to see how other areas compare. 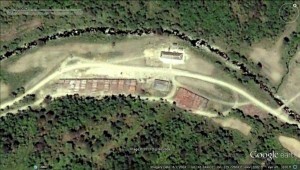 This is the first time I remember noticing on Google Earth that forest cover was growing in North Korea in any significant way (They have also been planting trees along the railroad tracks for several years, but that is not reforestation). All of these projects are on hills, and this makes sense from a forestry perspective (keep the mountains from eroding into the riverbeds). 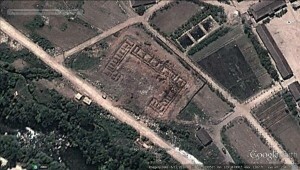 However, in North Korea many of the hillsides are being used for agriculture. In the images above it is unclear if the hillside plots are under the purview of cooperative farm production quotas, or if they are one of several kinds of “private plots” that farmers use to supplement their diets/income. Either way, the growth of forest cover means a reduction in farm-able land, and this is likely going to have some significant effects on land allocation politics at the local level. As forest cover grows under the national plan, cooperative farms will have to reallocate a smaller number of land parcels among a fixed number of workers. If the forests grow to reclaim land from private plots, farmers who had grown accustomed to their hillside property will have to figure out how to share remaining land with their neighbors, or move to another location. I imagine both of these processes can get messy, and perhaps the reforestation project is receiving mixed reviews at the local level (depending on its effects on individual farmers). NOTE: I have published some of the blog post below in Radio Free Asia (in Korean) here. The RFA article contains additional reporting that is not part of this blog post, and some of the information in this blog post may not be in the RFA article. 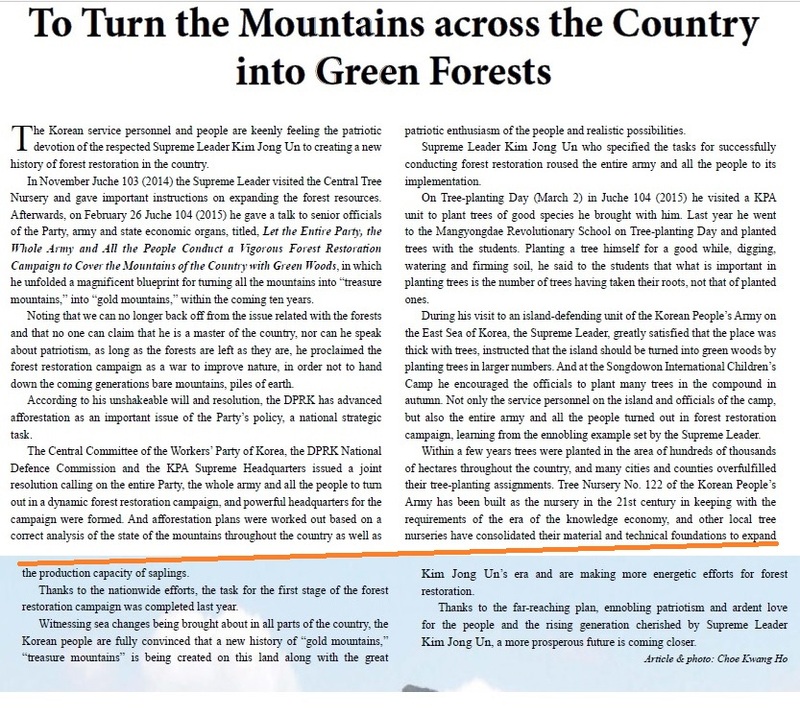 The December 4, 2014 issue of the Rodong Sinmun, the official newspaper of the (North) Korean Worker’s Party, repeatedly encouraged forest development, calling it a “serious issue to the nation and the people”. During his visit to the Central Tree Nursery on November 11, 2014, Kim Jong Un mentioned the many victims of starvation during the economic crisis of the mid-late 1990s: “Forest resources have diminished considerably. The forest was left naked and bare, and now it is too late to turn back.” This is the first time any supreme leader of the DPRK has formally acknowledged the severity of the forest destruction during that period. With regards to the present reality in North Korea, where mountains account for nearly 80 percent of the nation’s land area, the editorial stated, “As the speed of the construction of a powerful nation grows faster, the portion of the precious forests used to secure raw materials such as lumber, textiles, paper and other ingredients necessary for improving the economy and the lives of the people greatly increases.” The editorial also mentioned the recent sustained flooding and severe droughts, emphasizing the desperate need to build up forests in order to protect against natural environmental damage. Meanwhile, North Korea reportedly established the “Korean Green Sponsorship Fund” last October in order to fund research and development on green energy, resource recycling and organic farming techniques. North Korea made it clear that they will not discriminate between donors’ type of donation or content, nor will it discriminate against race, ethnicity, political view or the religion of donors. It also affirmed that it will reinforce close ties and cooperation with nongovernmental organizations and individual persons who wish to donate from all over the world. North Korea has destroyed forests about 18 times the size of Manhattan for more than 10 years, data showed Tuesday, in the latest sign of deforestation in the communist country. Global Forest Watch, which is run by the Washington-based World Resources Institute, said on its website that a total of 160,515 hectares of forest were destroyed between 2000 and 2013. It also said North Korea created 13,680 hectares of forest between 2000 and 2012. The development illustrates the rapid deforestation in North Korea as people cut down trees for fuel and turn forests into farmland to grow more food. Experts have said severe deforestation is one of the reasons behind devastating floods that hit North Korea in recent years. North Korea’s total forest area stood at 5.2 million hectares, with its output estimated at US$300 million as of 2006, or 2.5 percent of the country’s gross domestic product. 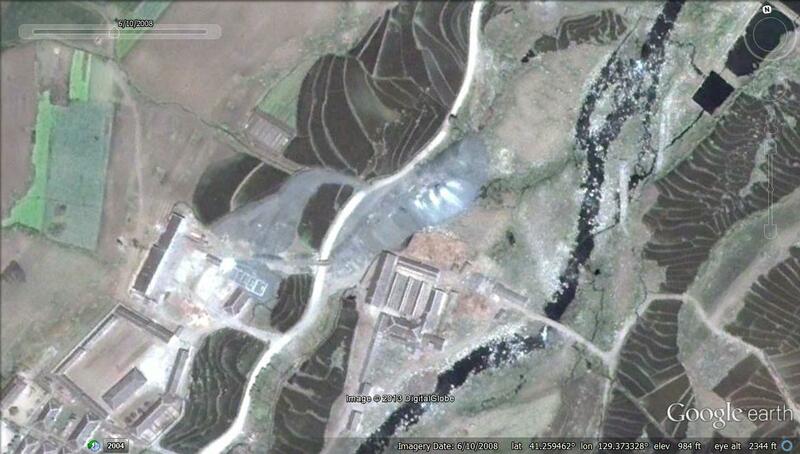 You can see a visualization of the DPRK’s deforestation with Global forest Watch here. Of course the problem is the a classic “tragedy of the commons“. According to the Korea Forest Service’s report on the “cost for reforestation in North Korea” that the Dong-A Ilbo obtained on Tuesday, as of 2008 deforested mountains accounted for 32 percent of the total land of North Korea, about 2.84 million hectares. To restore the area, about 32 trillion won (about 30 billion dollars) is estimated to be required. Deforestation is proceeding at a rapid pace in North Korea. It appears even faster in areas with high population density. The Korea Forest Research Institute has recently analyzed photos taken by a German commercial satellite and found deforestation progressed in North Korean cities of Pyongyang and Gaesong more rapidly than rural areas of Hyesan and Bongsan over the same period of time. The institute concluded that such discrepancy is cause by reckless lumbering and reclamation in urban areas. Besides, some reclaimed lands are not used for cultivation and just wasted because of the spread of crop theft, further exacerbating deforestation. In this regard, many argue that reforestation in North Korea should be beyond planting trees and in line with measures for food, fuels and income. 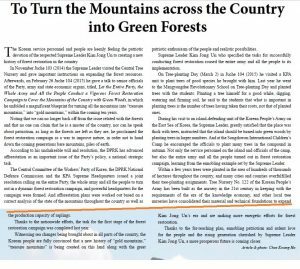 Private organizations of South Korea, North Korea and China have started to make systematic efforts to reforest bare mountains in North Korea. The Green Asia Organization, which seeks to grow trees in mountains and nurture forest farmers at the same time, is to be launched and hold an international symposium on “international cooperation measures for reforestation on the Korean Peninsula” on Wednesday. The organization is established based on the understanding that reforestation of North Korea costs trillions of won (billions of U.S. dollars) now and the cost will increase even further as time goes. Deforestation in North Korea not only directly affects the ecosystem of South Korea but also increases the cost for reunification. Besides, it can evolve into a more serious environmental issue in East Asia. This organization does not have an English-language web page (or any at all as far as I can tell). If you are able to find out more about this group, please let me know. North Korea is engaged in another purge of people close to Jang Song-thaek, the once powerful uncle of leader Kim Jong-un who fell from grace and was executed last Dec. 12, sending a deep chill through the top ranks of the Workers’ Party and the country’s elite. According to a report to be published Monday by the Institute for National Security Strategy, which is run by the National Intelligence Service, dozens of senior party members were executed or stripped of their titles in a second phase of a purge of allies of the fallen Jang. Some were executed on treason charges, heightening fears among the top party elite with connections to Jang. The report says the second purge began after the collapse of a new 23-story apartment building that killed more than 400 people in Pyongyang in May. Enraged by the accident, the 31-year-old leader blamed “remnants of Jang Song-thaek” for the collapse because the building was constructed by the Ministry of People’s Security, which used to be overseen by Jang. The report says 20 officials were either executed by firing squad or sent out of Pyongyang in the purge. Choe Pu-il, head of the security ministry who is also known as a basketball coach of Kim when he was young, was demoted and has been out of public sight since July. In September, nearly 20 members of the Propaganda and Agitation department and Guidance department of the Communist Party were also shot to death on charges of being anti-party, or guilty of bribery, having improper relationships with women and taking drugs. In October, the report says about 10 party members were shot to death for their connection to Kim’s uncle. One senior secretary from the Workers’ Party’s Haeju committee was also allegedly executed for watching television dramas from South Korea in October. Some were executed for trivial reasons, such as changing a song lyric that originally praised Kim Jong-un while singing karaoke, the report says. The string of executions has the entire elite in Pyongyang on edge. According to the report, Foreign Minister Ri Su-yong, who was the de-facto guardian for Kim Jong-un when he studied in Switzerland, fretted about his future because he failed to stop a United Nation’s resolution calling Kim to be referred to the International Criminal Court for crimes against humanity. “Minister Ri Su-yong feared he could not predict what would befall him after all his diplomatic efforts failed to stop the UN resolution,” wrote senior researcher Hyun Sung-il in the report’s opening statement. Researcher Hyun was a former North Korean diplomat in Zambia who defected to the South in 1996. One senior official at the research institute said there is a rumor among top party members that their country could crumble in less than 10 years in such conditions. “When analyzing Kim’s lip movements during his chats with elderly party members on television, it is not rare to find him insulting them with foul language,” said the official, who spoke on the condition of anonymity. The purge and execution of North Korea’s de facto No. 2 man eight months ago has resulted in uncertain fates for his associates, some of whom have since been promoted and another likely incarcerated in a political prison camp. Jang Song Thaek was the uncle to North Korean leader Kim Jong Un through marriage to the younger sister of Kim Jong Il, the late father and predecessor of Kim Jong Un. Tokyo, Seoul and other parties believe struggles over concessions set the stage for the purge of Jang, who served as vice chairman of the powerful National Defense Commission. The cadre of the country’s ruling Workers’ Party of Korea included many who had worked with Jang. Kim Yang Gon, director of the party’s United Front Department, Kim Yong Il, director of the party’s International Department, and Kang Sok Ju, a party secretary, all worked under Jang when he was a section chief in the party’s Organization and Guidance Department in charge of the Foreign Ministry. Choe Ryong Hae, another party secretary, and Mun Kyong Dok, former chief secretary of the Pyongyang municipal party committee, both worked with Jang when he held a senior position in the party’s youth work department. Kang Sok Ju remains influential even after Jang’s execution in December. He was likely appointed a party secretary in charge of international affairs in April. South Korean government officials said Kang recently met a visiting delegation of European political parties. Kang told the delegation that talks between Washington and Pyongyang are expected to take place in January next year, after U.S. midterm elections in November, according to the officials. Choe Ryong Hae was also appointed a party secretary in April, although he was dismissed as director of the General Political Bureau of the military. “Choe was held in low regard within the military but remains in the forefront because he has the trust of Kim Jong Un,” said a source well-versed in North Korean affairs. Ri Su Yong, who is believed to have been under Jang’s direction in the former Commission for Joint Venture and Investment, was promoted to foreign minister in April. Ji Jae Ryong, ambassador to China and a purported close aide to Jang, also remains politically active. But life has turned miserable for Mun Kyong Dok, who Tokyo and Seoul believe has likely been sent to a political prison camp. Kim Yang Gon has been spared a fall from grace, but rumors say he was seriously injured with a broken leg or is receiving about six months of political re-education. Kim Yong Il may remain the director of the International Department, but he has undeniably lost his clout. There are rumors about his possible transfer to an ambassadorship. That raises questions about why Jang’s purported associates have been treated differently. Tokyo and Seoul believe struggles between Jang and the military over concessions set the stage for Jang’s purge. Jang ordered concessions held by trading companies and other parties under the military’s umbrella to be moved to the Cabinet, the party’s Administrative Department, and other sectors under his own influence, partly because Kim Jong Il had misgivings about the military’s rise in power. The offended military likely co-opted Kim Jong Un to engineer Jang’s purge, according to the story. No major change has, in fact, been seen in North Korea’s political line since Jang was purged. “The incident did not develop into a full-scale purge of all officials concerned because it was not a political struggle,” a South Korean government official said. Choe and other senior officials have taken turns avoiding being mentioned in official news reports for certain periods of time since Jang was purged. They were apparently questioned during those periods over whether they received any distribution of interest from Jang, the findings of which likely decided the fates of officials associated with him. The North Korean regime has shut down the Workers Party department once headed by purged eminence grise Jang Song-taek and executed or interned 11 high-ranking officials, sources said Sunday. One of them was burned alive. A source said the regime is preparing a third purge of officials who supported Jang. The first purge involved his family, relatives and high-ranking party officials, while the second purge underway. The third will target his supporters in provincial chapters of the Workers Party. The source said Jang’s elder sister Kye-sun and her husband and ambassador to Cuba Jon Yong-jin, as well as their son-in-law Kim Yong-ho, who was head of a trading company, were executed. But ambassador to Malaysia Jang Yong-chol, Jang’s nephew, escaped with his life. He was sent to a concentration camp shortly after Jang Song-taek’s execution but was ordered to return to Pyongyang without a job after South Korean media reported rumors of his execution, the source added. Jang’s closest confidants Ri Yong-ha and Jang Su-gil as well as nine other high-ranking party officials were purged, while around 100 lower-ranking party officials loyal to Jang were sacked. O Sang-hon, a deputy minister at the Ministry of Public Security, was “executed by flamethrower,” the source said. The reason for the horrific method that he had turned the ministry into Jang’s personal protection squad, the source added. O managed a bureau in the ministry as his personal security service and raised its status to the same rank as officials guarding leader Kim Jong-un. DR: You could say anything here about North Korea and people would believe it. The last time I went there, when they said they killed his girlfriend, they killed his uncle, they just fed him to the dogs… They were standing right behind me. DJ: You’re saying that the uncle that the North Korean government itself confirms was executed is actually alive? DR: He was standing right there. UPDATE 25 (2014-2-13): The DPRK has a new ambassador to Laos. Pyongyang, February 8 (KCNA) — Kim Yong Hak was appointed as DPRK ambassador to Nepal, according to a decree of the Presidium of the Supreme People’s Assembly of the DPRK. North Korea’s leader Kim Jong Un has ordered the jailing of 40 popular actors and actresses as part of his relentless crackdown on those closely linked to his executed uncle, sources say. Jang Song Thaek’s execution two months ago followed a massive purge in the government and military, and Kim seems to be moving now to flush out Jang’s allies in the entertainment industry, according to the sources. “About 40 entertainers, referred to as a group linked to Jang Song Thaek, have been sent to Soosung prison in Chongjin in North Hamgyong province,” a source told RFA’s Korean Service, referring to a detention facility that is usually reserved for “first class” political prisoners. “I heard this from a North Korean official of North Hamgyong province who is in charge of earning foreign currency,” the source said, as if to reinforce the credibility of his information. Among those thrown in prison were Ryu Jin Ah, a singer with the Moranbong Band who was known to be Jang’s “lover,” and Li Yik Seung, an actor with Chosun Art Film Studio believed to be involved in “procuring” actresses for Jang and officials close to him, another source said. The Moranbong Band made a public appearance in July 2012 on Kim’s orders and Ryu was bestowed a top entertainer title a year later, according to the official Korean Central News Agency. The second source, also speaking on condition of anonymity, said Ryu and Li were linked to the 67-year-old Jang’s “womanizing problem,” cited as among reasons for his execution aside from the more serious charges of attempting to overthrow the government and seize power from his nephew. A former Japanese chef for the Kim family told RFA recently that Kim had ordered Jang’s execution for his role in procuring teenage girls to satisfy the sexual desires of Kim’s father and Jang himself. Fujimoto, who was Kim Jong Il’s personal sushi chef from 1988 to 2001, claimed that aside from his official duties as de facto number two to Kim Jong Il, the 67-year-old Jang had been in charge of a “pleasure division” tasked with recruiting girls aged 15-16 years for the late dictator. Sources inside North Korea had told RFA earlier that Kim was already purging the country’s military officer corps of personnel linked to Jang in a massive shake-up that has led to a freeze on military exercises and delayed replacement of cadres in the ruling party but raised promotion prospects for younger officers. Hyun Hak-bong, North Korean ambassador to the United Kingdom, told the UK’s Sky News that Jang Song-thaek, former head of the administrative division of the Korean Workers’ Party, was executed for misappropriation of public funds. When the subject of Jang came up in an interview on Jan. 30, Hyun said that Jang was sentenced to death in the court according to the law and that he was shot to death. 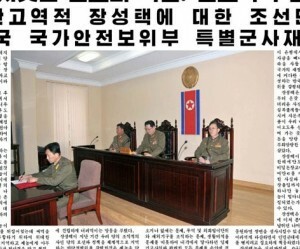 This is the first time that a North Korean official has explained on the record why and how Jang was executed. Asked about the crimes Jang was charged with, Hyun said that he had committed the acts in question, anti-state acts, and that he had abused his authority and driven the North Korean economy into the ground. Hyun said that among Jang’s crimes was the misuse of 4.6 million euros in 2009. In 2009, North Korean leader Kim Jong-un’s father Kim Jong-il was still alive. This implies that after Kim Jong-un took power, he suddenly took issue with something that had happened four years earlier. In regard to this, Hyun said that the party had forgiven Jang’s behavior on several occasions in the past, but that this time his actions went “beyond the red line,” stressing that execution had been the only option. Addressing reports that Jang’s family and relatives had been killed as well, Hyun called these fabricated reports and dismissed them as “political propaganda by our enemies.” However, when the interviewer asked Hyun if Jang’s family was still alive, the ambassador avoided a definitive response. “I know he was punished but if his family were punished or not, I don’t know,” Hyun said. UPDATE 22 (2014-1-28): Rimjingang offers some speculation on the continued purges of Jang’s associates. UPDATE 21 (2014-1-22): Alexandre Mansourov provides a detailed chronology of Jang’s fall from grace in 38 North. A senior North Korean source on Sunday said O is gaining control of the financial operations of the National Defense Commission that was once managed by Jang as well as other business interests. O has crucially gained control of agencies in charge of bringing in foreign currency such as a body created by Jang to develop an economic zone in Sinuiju near the border with China. He has thus regained rights to the development of Rajin-Sonbong port, exports of seafood and gold mining that Jang stripped him of in 2010. Radio Free Asia in the U.S. reported that companies managed by O have had exclusive control of LPG import licenses from China and Russia since Jang’s execution. The North’s official Korean Central News Agency on Sunday introduced Mun Myong-hak as coal industry minister, a position held by Rim Nam-su at least until a year ago, while reporting on the 30th anniversary of a coal mining complex in the western province of South Pyongan. The charges culminating in Jang’s death unveiled by the KCNA included underpricing overseas “precious underground resources including coal” and land within an up-and-coming special economic zone. The mineral-rich North has long been seeking to shore up its crumbling economy through exports of coal, iron ore, hard coal and other resources, mostly to China. Seoul’s spy chief Nam Jae-joon late last month ascribed Jang’s shock purge to discords among the elite over lucrative coal export business. It remains unclear, however, whether Jang and Rim had had a close relationship. Former manager of a youth coal mine in South Pyongan, Mun was twice named a member of the Supreme People’s Assembly, in 2003 and 2009, before being introduced last January as head of a youth coal mining complex in Sunchon in the region. His appointment was the latest in an ongoing personnel shakeup in Pyongyang. On Thursday, Korean Central Television introduced Kim Yong-kwang as metal industry minister as it aired the reactions of ministry officials to Kim Jong-un’s New Year address. His predecessor Han Hyo-yon last appeared in state media last June. Kim was vice metal industry minister from June 2008 and manager of a mining complex in Musan, North Hamgyong Province, from December 2011, and was nominated to the steering committee of the funeral of late leader Kim Jong-il around then. “Our metal industry will actively contribute to strengthening national power by bringing up the working classes’ combative enthusiasm and reproducing steel,” he told the broadcaster on Thursday. The Choson Sinbo, a pro-Pyongyang newspaper in Japan, said last month that Kim Jong-ha has become secretary of the Cabinet secretariat, succeeding Kim Yong-ho. North Korea’s deputy ambassador to UNESCO was called back to Pyongyang from Paris on Monday, a diplomatic source said, marking the latest summoning of North Korean diplomats following the recent execution of leader Kim Jong-un’s uncle. Hong Yong, the North’s deputy permanent delegate to UNESCO, and his wife were spotted at the Beijing airport before boarding an Air Koryo flight earlier in the day, the source said on the condition of anonymity. Last week, the North’s ambassador to Sweden, Pak Kwang-chol, returned to North Korea. Pak was one of the close aides to the purged uncle, Jang Song-thaek. “North Korea appears to be intensively carrying out recalls of high-ranking diplomats,” the source said. “A number of North Korean diplomats, trade officials and businessmen, who served as close subordinates of Jang Song-thaek, have been returned home,” the source said. North Korea’s ambassador to China, Ji Jae-ryong, has been conducting business as usual, but North Korean diplomats in Beijing “have been recently trying to refrain from outdoor activities,” the source said. Ji, 71, has shared the same political fate as Jang over the past three decades and served as a “linking pin” between Jang and the Chinese leadership since he took up the post in 2010. Earlier this month, the North’s ambassador to Malaysia, Jang Yong-chol, a nephew of the executed uncle, had also been summoned back to the country. Mr. Hong had apparently held the post for just six months. North Korean ambassador to Sweden, Pak Kwang-chol, was called back to Pyongyang on Friday, a diplomatic source said, marking the latest recall of North Korean diplomats following the recent execution of leader Kim Jong-un’s uncle. Pak, one of close aides to the purged uncle, Jang Song-thaek, returned to North Korea via an Air Koryo flight after making a brief stopover in Beijing earlier in the day, the source said on the condition of anonymity. Escorted by North Korean officials, Pak and his wife were spotted at Beijing airport before boarding the Air Koryo flight, the source said. Park took up the post in September last year, according to a report by the North’s state media. The shock purge and execution of the North Korean leader’s uncle stemmed from his attempts to take control of the country’s lucrative coal export business, South Korea’s spy chief told lawmakers Monday. The execution — the biggest political upheaval since Kim took power two years ago — sparked speculation that Jang had lost out in a power struggle with hardline army generals. But Nam Jae-Joon, the head of South Korea’s National Intelligence Service, said Jang’s attempts to secure control of state-run natural resources businesses played a big part in his downfall. Nam, briefing members of parliament’s intelligence committee on the situation in the North, also said the young ruler currently “appears to have no problem” in his grip on power — but may stage armed provocations against the South sometime between January and March to rally domestic unity. “Jang intervened too much in lucrative state businesses… related to coal, which drew mounting complaints from other [related] state bodies,” lawmaker Jung Chung-Rae, a member of the committee, quoted Nam as saying at the closed hearing. Jang for years handled the country’s mineral exports, which go mostly to China. The impoverished but mineral-rich North has sought for years to bolster its crumbling economy by increasing exports of coal and other minerals, which account for the bulk of its exports to China. But Jang and his associates angered other top party officials by rapidly expanding their control over the coveted mineral businesses, Jung quoted Nam as saying. “Kim Jong-Un was briefed about it… and issued orders to correct the situation,” Jung told reporters. But many officials loyal to Jang did not immediately accept his orders, which eventually led an angry Kim to launch a sweeping purge, the lawmaker quoted the spy chief as saying. The regime is currently probing officials in the ruling party’s administrative department once supervised by Jang as well as other state-run trading arms, Nam was quoted as saying. The execution of the uncle of Kim Jong-un, North Korea’s leader, had its roots in a firefight between forces loyal to Mr. Kim and those supporting the man who was supposed to be his regent, according to accounts that are being pieced together by South Korean and American officials. The clash was over who would profit from North Korea’s most lucrative exports: coal, clams and crabs. North Korean military forces were deployed to retake control of one of the sources of those exports, the rich crab and clam fishing grounds that Jang Song-thaek, the uncle of the country’s untested, 30-year-old leader, had seized from the military. In the battle for control of the fishing grounds, the emaciated, poorly trained North Korean forces “were beaten — very badly — by Uncle Jang’s loyalists,” according to one official. The rout of his forces appears to have been the final straw for Mr. Kim, who saw his 67-year-old uncle as a threat to his authority over the military and, just as important, to his own family’s dwindling sources of revenue. Eventually, at Mr. Kim’s order, the North Korean military came back with a larger force and prevailed. Soon, Mr. Jang’s two top lieutenants were executed. The two men died in front of a firing squad. But instead of rifles, the squad used antiaircraft machine guns, a form of execution that according to South Korean intelligence officials and news media was similar to the one used against some North Korean artists in August. Days later, Mr. Jang himself was publicly denounced, tried and executed, by more traditional means. Given the opaqueness of North Korea’s inner circle, many details of the struggle between Mr. Kim and his uncle remain murky. But what is known suggests that while Mr. Kim has consolidated control and eliminated a potential rival, it has been at a huge cost: The open warfare between the two factions has revealed a huge fracture inside the country’s elite over who pockets the foreign currency — mostly Chinese renminbi — the country earns from the few nonnuclear exports its trading partners desire. But when Mr. Kim succeeded his father two years ago, he took away some of the military’s fishing and trading rights and handed them to his cabinet, which he designated as the main agency to revive the economy. Mr. Jang was believed to have been a leading proponent of curtailing the military’s economic power. r. Jang appears to have consolidated many of those trading rights under his own control — meaning that profits from the coal, crabs and clams went into his accounts, or those of state institutions under his control, including the administrative department of the ruling Workers’ Party of Korea, which he headed. But this fall, the long-brewing tensions that arrangement created broke into the open. Radio Free Asia, in a report last week that cited anonymous North Korean sources, reported that Mr. Kim saw North Korean soldiers malnourished during his recent visits to islands near the disputed western sea border. They say he ordered Mr. Jang to hand over the operation of nearby fishing grounds back to the military. According to accounts put together by South Korean and American officials, Mr. Jang and his associates resisted. When a company of about 150 North Korean soldiers showed up at the farm, Mr. Jang’s loyalists refused to hand over the operation, insisting that Mr. Jang himself would have to approve. 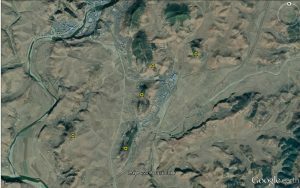 The confrontation escalated into a gun battle, and Radio Free Asia reports that two soldiers were killed and that the army backed off. Officials say the number of casualties is unknown, but they have received similar accounts. Mr. Nam said the fact that such behind-the-scenes tensions had spun so far out of control that Mr. Kim had to order his own uncle’s execution raised questions about the government’s internal unity. “The fissure within the regime could accelerate if it further loses popular support,” the lawmakers quoted Mr. Nam as saying. 3. Kim Jong-un is not in charge. Then who is? Here is coverage at the Wall Street Journal’s Korea Real Time. UPDATE 15 (2013-12-20): The Daily NK reports that Jang’s family members have been rounded up and punished. UPDATE 14 (2013-12-6): Jang’s purge has had impact on operations at Rason Economic and Trade Zone and Hwanggumphyong SEZ. In total, 10-15 articles on Jang were deleted, with approximately 500 other articles mentioning Jang’s name edited to remove Jang’s name specifically. “The scale of what they’re attempting to do here is unprecedented. North Korea ‘s websites are somewhat of an unknown quantity, and nothing on this scale has been detected before,” said Frank Feinstein, a New Zealand based computing specialist that tracks North Korean media output for NK News’s KCNA Watch. “They’re attempting to write not just Jang, but several other elites, right out of the history books,” Feinstein added. UPDATE 12 (2013-12-16): James Person at the Wilson Center’s NKIDB writes about the DPRK’s last major purge in the 1960s. UPDATE 11 (2013-12-15): Michael Madden has written a thorough obituary for Jang Song-thaek. UPDATE 10 (2013-12-15): KCNA lists Kim Kyong-hui on the funeral committee for Kim Kuk-thae, indicating she has survived the purge of her husband. 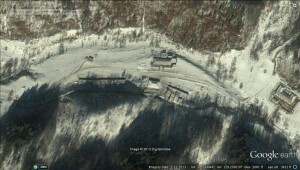 UPDATE 8 (2013-12-12): NK News has thoughts on Jang’s execution from David Straub, Victor Cha, Andrei Lankov, and Sunny Lee. 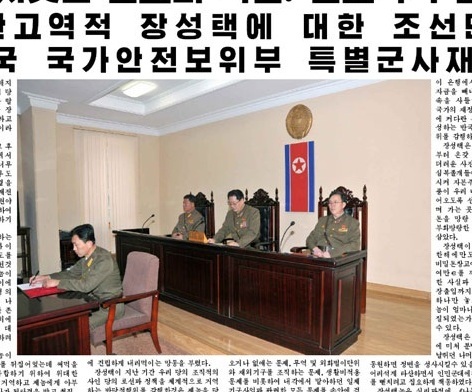 Top: The three-member military tribunal of the Ministry of State Security. 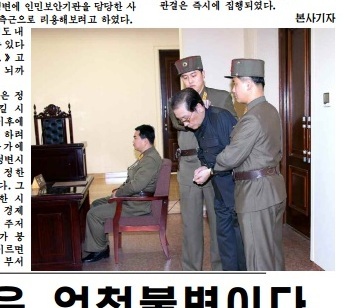 Bottom: Jang can be seen in handcuffs as he is escorted by two guards from the Ministry of State Security. Pyongyang, December 13 (KCNA) — Upon hearing the report on the enlarged meeting of the Political Bureau of the Central Committee of the Workers’ Party of Korea, the service personnel and people throughout the country broke into angry shouts that a stern judgment of the revolution should be meted out to the anti-party, counter-revolutionary factional elements. 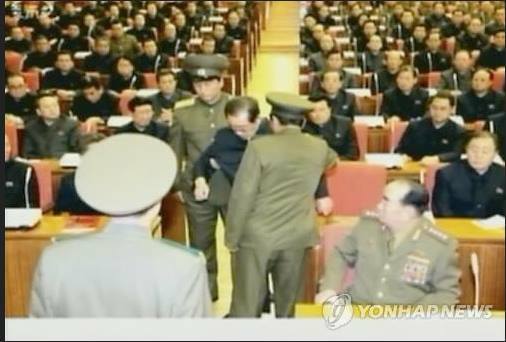 Against the backdrop of these shouts rocking the country, a special military tribunal of the DPRK Ministry of State Security was held on December 12 against traitor for all ages Jang Song Thaek. Abusing the honor of often accompanying Kim Jong Unduring his field guidance, Jang tried hard to create illusion about him by projecting himself internally and externally as a special being on a par with the headquarters of the revolution. He was so imprudent as to prevent the Taedonggang Tile Factory from erecting a mosaic depicting Kim Il Sung and Kim Jong Iland a monument to field guidance given by them. Moreover, Jang turned down the unanimous request of the service personnel of a unit of the Korean People’s Internal Security Forces to have the autograph letter sent by Kim Jong Un to the unit carved on a natural granite and erected with good care in front of the building of its command. He was so reckless as to instruct the unit to erect it in a shaded corner. Abusing his authority, he undermined the work system related to the construction of the capital city established by Kim Il Sungand Kim Jong Il, reducing the construction building-materials bases to such bad shape little short of debris in a few years. He weakened the ranks of technicians and skilled workers at the unit for the construction of the capital city in a crafty manner and transferred major construction units to his confidants so that they might make money. In this way he deliberately disturbed the construction in Pyongyang. See more NK News here and here. UPDATE 5 (2013-12-12): Here is Ruediger Frank in 38 North. An order of the respected Supreme Commander is what our army should carry out at the risk of its life. It has been invariable faith and will of our revolutionary army at all times — in the days when it had to smash armed provocations of the U.S. and its satellites and in the days when it has been engaged in both socialist construction and national defense. Our revolutionary arms has always been merciless at all its enemies, particularly those who attempted to do harm to the headquarters of our revolution; those who refused to obey the order of the Supreme Commander and those who dreamed different dreams while in the same bed. Jang Song Thaek and a handful of his followers dared to challenge our Party policies and disobeyed the orders of our Supreme Commander. Their crimes have been exposed now. This angered men and officers of our People’s Army. The anti-Party, counter-revolutionary, factional crimes of Jang Song Thaek and his villains make us more keenly alive to the mission of the revolutionary army. The first target we are going to crush is those who want to haggle about our Party’s line and directions, make a mess of the Party leadership exploits, keep away from the Party and class principles, and those who try to turn the pure minds of our people to rotten fish. Our revolutionary army knows no one but its respected Supreme Commander Kim Jong Un. Now our army and people have united firmer than ever before around the Workers’ Party of Korea. An enlarged meeting of the Political Bureau of the Central Committee of the WPK was held under the guidance of the respected Marshal Kim Jong Un. It was a historic landmark meeting in strengthening our party and accomplishing the revolutionary cause of Juche in our country. The meeting laid bare the anti-party, counter-revolutionary, factional acts of Jang Song Thaek and his group who opposed the monolithic system of the party leadership. Our party removed Jang from the Party and purged the party ranks of his group, thus giving a telling blow to the factionalists. Our army and people welcomed the resolution of the meeting and reaffirmed their conviction to go along the road of final victory under the leadership of the party, holding high the banner of Kimilsungism-Kimjongilism. The enlarged meeting is of weighty significance in further consolidating the organizational and ideological unity of the party centered on Kim Jong Un. It will also go a long way towards cementing the single-minded unity of our party and revolutionary ranks. The meeting also marked an important turn in our efforts to build a thriving nation. All the Party members, men of the People’s Army and people should learn to know the significance and importance of the meeting and unite them closer around the great party and continue to march vigorously for final victory of revolution. They must always remain true to Kim Jong Un’s idea and lines and to his leadership. And in this, officials must take the lead. Complacence and concession are taboo in ideological work because they may leave a margin for any unsound idea to make an inroad and decay sound minds. The Party organizations of all levels must work to prepare every member of the party and of the working people as one ready to share weal and woe with the respected Marshal. Let all of us more firmly unite around Kim Jong Un and continue our onward march with full vigor to realize the idea and cause of the great generalissimos. Michael Madden has some of the names and relationships from the video outlined here. 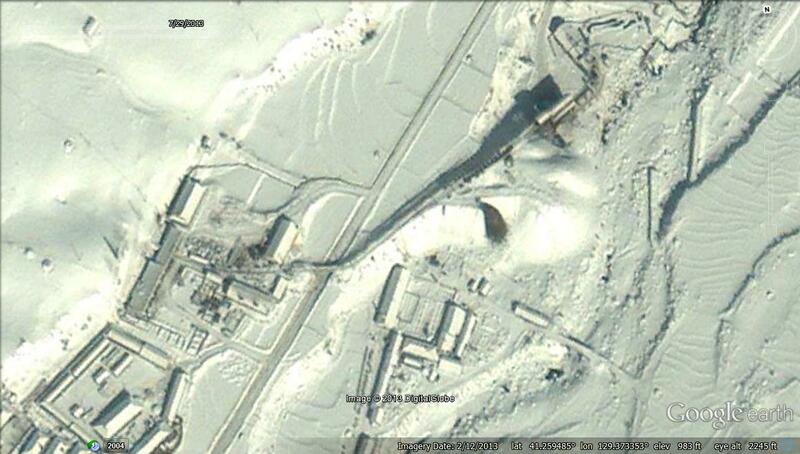 UPDATE 1 (2013-12-9): Andrei Lankov offers analysis at NK News. Alexandre Mansourov offers additional information at 38 North. Pictured above (Yonhap, KCTV): Jang being removed from Politburo meeting. Jean Lee notes that Jang was sitting in the audience. He was not up on the stage with other members of the leadership. Pyongyang, December 9 (KCNA) — A report on the enlarged meeting of the Political Bureau of the Central Committee of the Workers’ Party of Korea (WPK) was released on December 8. Respected Comrade Kim Jong Un, first secretary of the WPK, guided the meeting. No force on earth can deter our party, army and people from dynamically advancing toward a final victory, single-mindedly united around Kim Jong Un under the uplifted banner of great Kimilsungism-Kimjongilism. Though the report notes that many of Jang’s associates have been purged, Yonhap notes that the DPRK ambassador to China, one of Jang’s associates, is conducting business as usual. The North Korean ambassador to China, considered one of the close aides to the purged uncle of the North’s leader Kim Jong-un, appears to be conducting “business as usual for now,” a Seoul diplomatic source said Monday, on the same day that Pyongyang confirmed the powerful uncle had been sacked from office. The North Korean ambassador, Ji Jae-ryong, has shared the same political fate as the purged uncle, Jang Song-thaek, over the past three decades, and served as a “linking pin” between Jang and the Chinese leadership since he took up the post in 2010, the source said. “So far, we have detected no unusual movements at the North Korean embassy in Beijing,” the source said on the condition of anonymity. “It has also been business as usual for Ambassador Ji Jae-ryong and other North Korean diplomats,” the source said. The same article notes that some of Jang’s relatives in Malaysia were recalled. Last week, an intelligence source in Beijing said that the North Korean ambassador to Malaysia, Jang Yong-chol, who is a nephew of Jang, was believed to have been recalled home. The wife and two 20-something sons of the North Korean ambassador to Malaysia were also spotted last week before boarding an Air Koryo flight in China’s northeastern city of Shenyang, multiple witnesses said. North Korea’s ambassador to Cuba, Jon Yong Jin — the husband of Jang’s elder sister — has also been recalled, he said, according to a joint briefing by ruling and opposition party lawmakers. See Madden’s post here. NK News has info here. Here is coverage in major media outlets: New York Times, Bloomberg, Los Angeles Times, Wall Street Journal (and here), Associated Press. Although it is still rumor at this point, some have speculated that Jang has been executed. The Ministry of Unification asserts he is “safe”. The JoongAng Daily reports he is in his Changgwang residence. It is also rumored that one of Jang’s associates is under the protection of the South Korean government at a secret location in China (see here and here). Two other associates, Ri Ryong-ha and Jang Su-gil, have allegedly been executed. Seoul denies they have anybody under their protection. Mr. Jang’s apparent fall from power came after his two deputies at the administrative department of the ruling Workers’ Party of Korea were executed last month on charges of “corruption and anti-party activities,” according to South Korean lawmakers who were briefed by intelligence officials in a hurriedly scheduled meeting at the National Assembly in Seoul. The intelligence agency did not reveal how it learned of the executions, the lawmakers said. “I don’t think Jang’s deputies were executed for mere corruption. Rather, they were executed because they established a ‘power,’ ” said Cheong Seong-chang, a senior analyst at Sejong Institute in South Korea. Mr. Jang would not be the first No. 2 or the first uncle of the North Korean leader to lose power. Kim Jong-il plotted a purge of his own powerful uncle to solidify control after the death of his father, the North’s founding president, Kim Il-sung. In July last year, Kim Jong-un removed his then No. 2 man, Vice Marshal Ri Yong-ho. Analysts said they suspected that Mr. Jang’s downfall may have been engineered by Kim Won-hong, who was made head of the nation’s secret police and spy agency in April last year, and Vice Marshal Choe Ryong-hae, who became the top political officer in the military under Mr. Kim. On Tuesday, the South Korean intelligence officials said North Korea’s secret police began investigating the corruption of Mr. Jang’s close allies this year. The man considered the power behind the throne in secretive North Koreais believed to be out of a job, thanks to his nephew and leader Kim Jong Un, and it wasn’t immediately clear if this time he can find the way back. Jang Song Thaek survived purges and official displeasure to reach the pinnacle of his career, thanks largely to his sometimes tempestuous marriage to Kim Kyong Hui, the 67-year-old daughter of North Korea’s founder, Kim Il Sung. The Pyongyang power couple formed a kind of regency in the obscurantist political world of the North behind Kim Jong Un, its young and mercurial leader, who succeeded his father, Kim Jong Il, in December 2011. “The most important thing for Jang Song Thaek is he has institutional memory – he knows where all the bodies are buried and that’s critical in North Korea,” said Mike Madden, a North Korea expert and author of NK Leadership Watch blog. The couple’s reach was augmented by their control over the ruling Korean Workers’ Party’s secret funds that handle the Kim family’s finances both at home and abroad, according to An Chan Il, a former North Korean military officer who defected to the South and has become an expert on the North’s power elite. After his dismissal in 2004, Jang, 67, was rehabilitated to stand at the peak of power as Vice Chairman of the National Defence Commission, the country’s top military body, and was a member of the ruling Workers’ Party Politburo. He has likely been sacked from both posts, according to South Korean lawmaker Jung Cheong-rae, who on Tuesday cited a senior South Korean official with the National Intelligence Service (NIS). “Jang is both the greatest benefactor and the greatest threat (to Kim Jong Un)”, said Park Hyeong-jung at the state-run Korea Institute of National Unification in Seoul back in April. Jang met Kim Kyong Hui when they were students at Kim Il Sung University. He had good looks and charm, was popular and outgoing, known more for partying and deftness with the accordion than his academic achievements, according to Hwang Jang-yop, a former Workers’ Party secretary and defector who was head of the school at the time. His humble background made Jang a less than ideal suitor for the headstrong daughter of North Korea’s founder. Yet Kim Kyong Hui did not let her father’s objections stop her from marrying – with the help of her brother, according to Jang Jin Song, a North Korean defector who previously worked at the Workers’ Party United Front Department, a propaganda unit tasked with destabilising South Korea. The marriage was not a happy one, he said. As Jang Song Thaek started rising through the ranks of the Workers’ Party, he became less attentive to his family. It was an open secret that he partied hard and womanised, said defectors in Seoul and South Korean politicians who met Jang on a 2002 visit as part of an economic delegation touring the South’s industrial successes. Their daughter, Kum-song, died in an apparent suicide while attending school in France, ironically because her parents objected to her boyfriend, according to Jang Jin Song. Kim Kyong Hui herself had an affair with a young pianist who taught her daughter, according to Jang Jin Song, who recalled that a classmate of his at the Pyongyang University of Music and Dance had been a rival for Kim’s affections. The piano teacher, a former child prodigy and household name, and who was 10 years younger than his paramour, would soon disappear. Kim Kyong Hui would be told he had committed suicide. But Jang the defector said Kim knew her husband had had her lover killed, one of a vast number of people to fall victim to a reign of terror Jang Song Thaek orchestrated in the late 1990s. Before he became the power behind the throne under Kim Jong Un, Jang was ejected from the elite in 2004 for angering Kim Jong Il by hosting lavish parties, according to media reports and assessments by South Korean think-tanks. Two years later, he was back, and in 2011 was widely credited with orchestrating the ouster of Army chief of staff Ri Yong Ho, a major rival who had been a loyal aide to the father of Pyongyang’s current leader. Jang’s removal, if final, could mean Kim Jong Un has lost perhaps the strongest benefactor he could have to help his transformation into a ruler of the calibre of his predecessors, a factor that leaves the question of his future return open. “Jang’s a big potato to get rid of,” said Madden of NK Leadership Watch. “They can’t get rid of him completely. If they do, they’re in trouble because this is the guy you do not want going to a foreign country. See also this article by Aiden Foster-Carter in the Wall Street Journal’s Korea Real Time. I have previously noted changes to Camp 14 (Kaechon) and Camp 25 (Chongjin). Here we have a look at Camp No. 16, the interior of which to date has not been comprehensively mapped for any publication (Joshua has some info on the perimeter here). Kwanliso No. 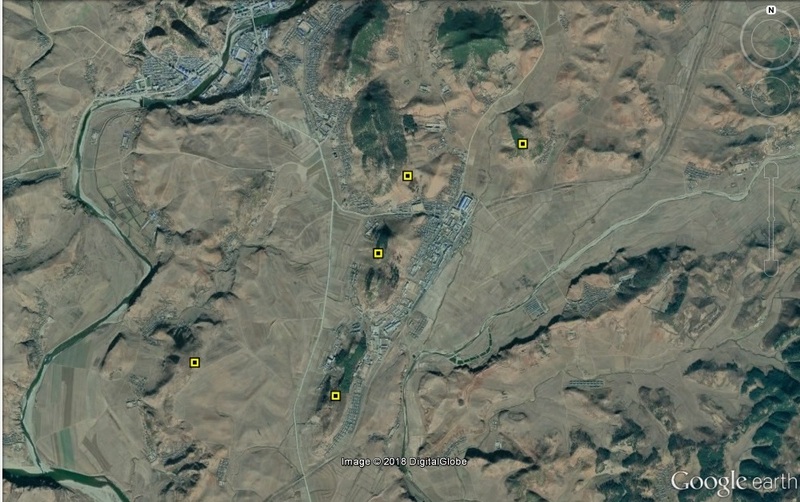 16 lies within the borders of Orang and Myonggan (formerly Hwasong) counties. 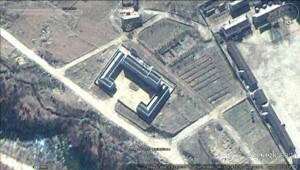 The entrance to the prison camp lies just 8km from the outskirts of the town of Myonggan (formerly Hwasong). 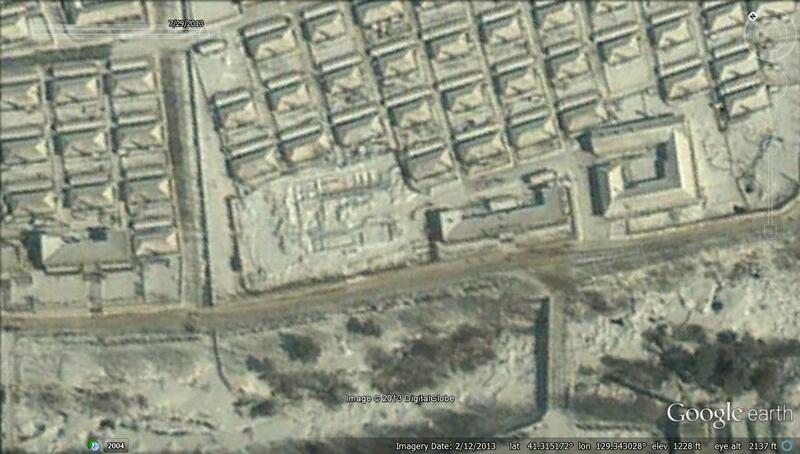 First let’s look at new residential construction in the camp. Between 2011-6-19 and 2013-2-12 the number of housing units in this area increased 18% from 43 to 51. The new buildings appear to be similar to the incumbent buildings, which were constructed before 2004-6-12 (the earliest available commercial imagery). It is impossible to determine from satellite imagery how many individuals live in each building, but the approximate dimensions of each building are 16m x 7m. In this area, 14 housing units were torn down and replaced by 11 housing units sometime between 2008-6-10 and 2010-6-12. These newer housing units seem slightly larger, but it is unclear how they are distinguished from those they replaced. 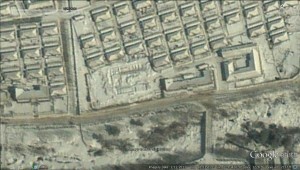 Nearby, six housing units were added between 2010-6-12 and 2011-6-19. Just 700m southeast of here, construction on another 17 housing units were completed sometime between 2008-6-10 and 2010-6-12. There is also some new non-residential construction inside the camp’s perimeter the purpose of which remains unknown to me. 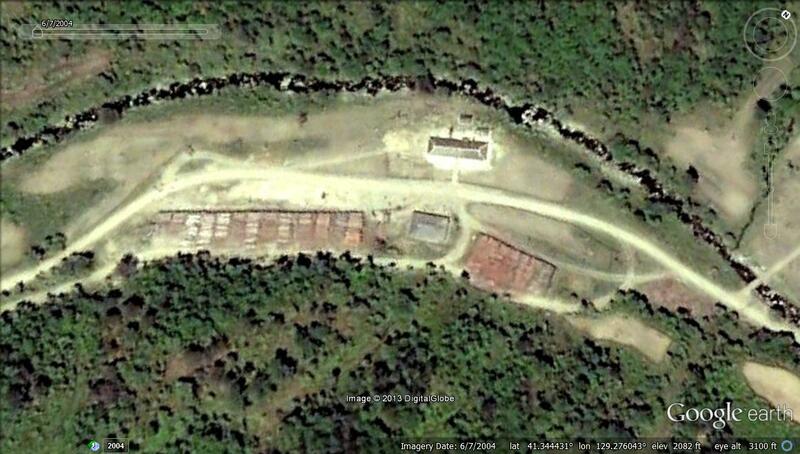 I suspect that this is a fishery and agricultural site, but I am not sure at this point. Construction started sometime between 2010-8-14 and 2013-3-21. The perimeter is 75m x 42m. A building appears to be under construction at this site. As of February 2012, not much progress has been made. 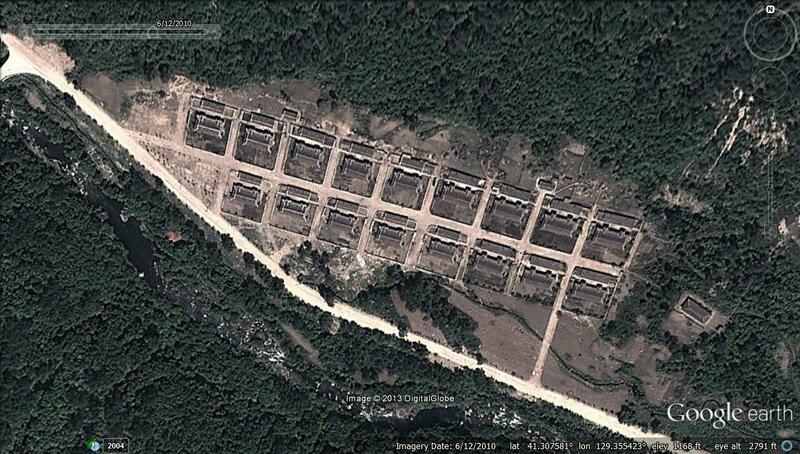 This coal mine has been growing consistently between 2008 and 2013. It is unclear what happens to the coal. I do not know where the timber goes once it leaves Camp 16. Those with deeper pockets than me can purchase satellite imagery of the trucks hauling it away or try to obtain information from the handful of North Korean defectors that may know the answer. Yohnap reports on the UNDP’s 2013 Human Development Report. The report apparently mentions some statistics on the DPRK. You can read the report here. The interface is awful. North Korea saw its forests shrink by nearly 31 percent in the past 20 years, a report by an international organization said Tuesday. The size of forestlands in North Korea is down 30.9 percent as of 2010, compared to 1990, the 2013 Human Development Report by the United Nations Development Program said. The report ranked about 40 developing countries in terms of human development. It disclosed the North Korean data without including the country in its ranking. The report also said that as of 2011, 8.6 percent of its animal and plant species are in danger of extinction. The average life expectancy in North Korea is 69 while an average North Korean woman gives birth to two children in her lifetime as of last year, according to the report. The average infant mortality rate — the number of babies who die within one year of their birth per 1,000 babies — reached 26 as of 2010 while the corresponding death rate for children under the age of five stood at 44, the report also noted. A total of 6.6 North Koreans out of 100 used fixed-line or mobile telephone services as of 2010, according to the organization. Recent data from other sources have shown that the country with a population of about 25 million people had 660,000 mobile service subscribers in mid-2010. The number is believed to have soared to 1.5 million in late 2012. You are currently browsing the archives for the Lumber category.